David J. Wagner, PhD is the preeminent academic authority on the subject of Wildlife Art in America. Early in his career, he served as director of the Leigh Yawkey Woodson Art Museum, where he established Birds In Art as the world's most prestigious annual exhibition of animal art. He also served as executive director of the Colorado Springs Fine Arts Center, and was a museum-studies adjunct faculty member at the Graduate School of New York University, Colorado College, and University of Wisconsin Extension. Today he combines working as a freelance consultant with duties as tour director for the Society of Animal Artists, and curator of numerous traveling shows, including current One-man Shows for Robert Bateman, Kent Ullberg and yours truly. (He also wrote the introduction for my book). Dave's PhD dissertation was on the history of wildlife art in America, and he continues to lecture widely on the subject. He's been working on his Magnum Opus for several years, and the project is finally complete. 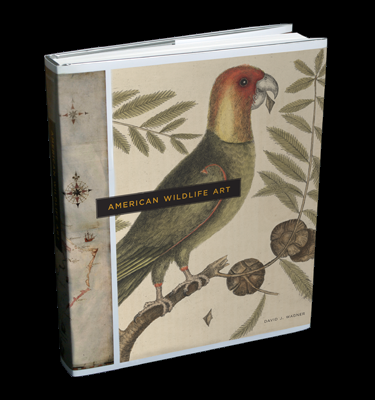 American Wildlife Art will be released early in the new year by Marquand Books. At 424 pages, with over 300 illustrations, it promises to be the most complete history of representative animal art in North America to date. The book lists for $85.00, but pre-orders will receive a 10% discount.